Periodontal disease is an infection caused by the accumulation of bacterial deposits – plaque (bacteria) and calculus (‘tartar’) – on the tooth surface. Initially this causes gingivitis, a reversible inflammation in the superficial gum tissue, and we are all susceptible to this inflammation if we allow bacteria to build up on the tooth surface near the gum margin. However in susceptible individuals – around 40 per cent of the population – the infection can progress down the root of the tooth and cause periodontitis. This is when the inflammation causes destruction of the fibres that hold the tooth into its bony socket, and of the supporting bone itself. 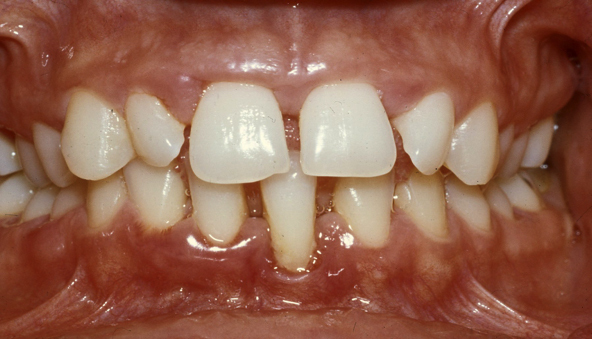 Unfortunately periodontitis is irreversible – that means we cannot grow the bone back again. However the infection itself can be treated effectively and the disease halted. 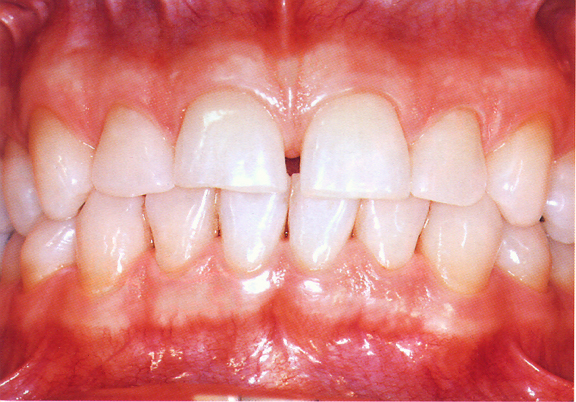 Untreated periodontitis can lead to loose and drifting teeth, and to the eventual loss of teeth. 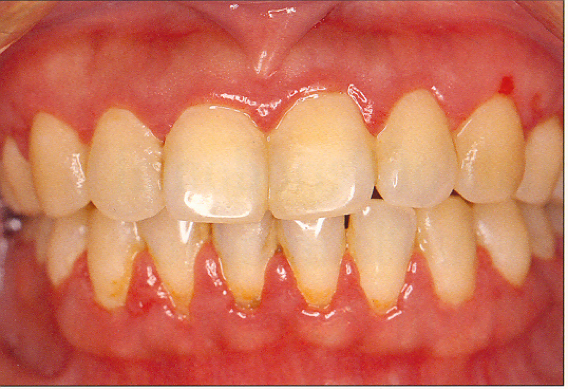 Bacteria that are always present in the mouth cause periodontal disease, and so periodontal disease cannot be “cured”. However treatment aimed at controlling the deposits of bacteria on the tooth surface can halt the disease and result in healthy tissues, which will be easier to maintain in a healthy state. While bacteria are the prime cause of gum disease, there are some factors that can make the disease worse, or more difficult to manage, such as smoking and poorly controlled diabetes. The genetic factors that make you susceptible to the destructive form of the disease cannot be altered, and so this makes controlling the bacteria the ultimate aim of periodontal treatment, and of home care. Ensure that when you clean you teeth, you do so systematically, and with great accuracy. A high standard of daily oral hygiene including the use of a soft toothbrush or electric toothbrush is essential. Teeth should be brushed at least twice daily, for a minimum of two minutes. Appropriate cleaning between teeth with dental floss or interdental brushes as recommended, is an essential part of daily oral care. Smoking is a major risk factor for developing periodontal disease as it affects the blood supply to the gums and other supporting tissues of the teeth. 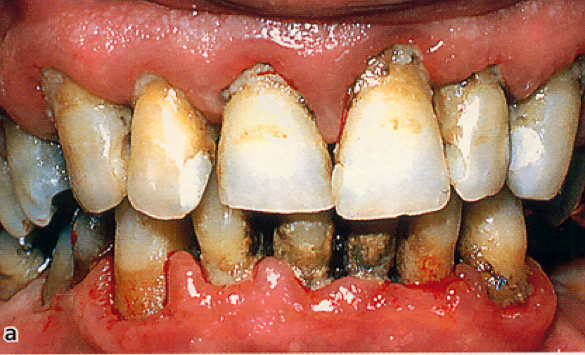 The outward signs of gum disease, such as redness or bleeding, are often not seen in smokers. Smoking also impacts healing, and the outcome of periodontal treatment is less predictable in smokers compared with non-smokers. As such, smokers would benefit from reducing their cigarette consumption, or stopping altogether. This will help not only oral and periodontal health, but also many aspects of general health. Regular visits for periodontal health assessment will be an ongoing part of oral health care. Commitment to an ongoing programme of supportive periodontal care is essential if treatment is to yield long-term benefits and improve the long-term prognosis of your teeth. Please don’t think that periodontal disease management is simple, and requires only a one-off treatment programme. Regular supportive treatment is needed to help manage the bacterial build up on teeth, as even the best tooth cleaners are likely to leave deposits on the teeth. In many cases it will be important for at least some of this care to be undertaken in our practice, but continued care with your general dentist and hygienist for your other oral health needs is critical.